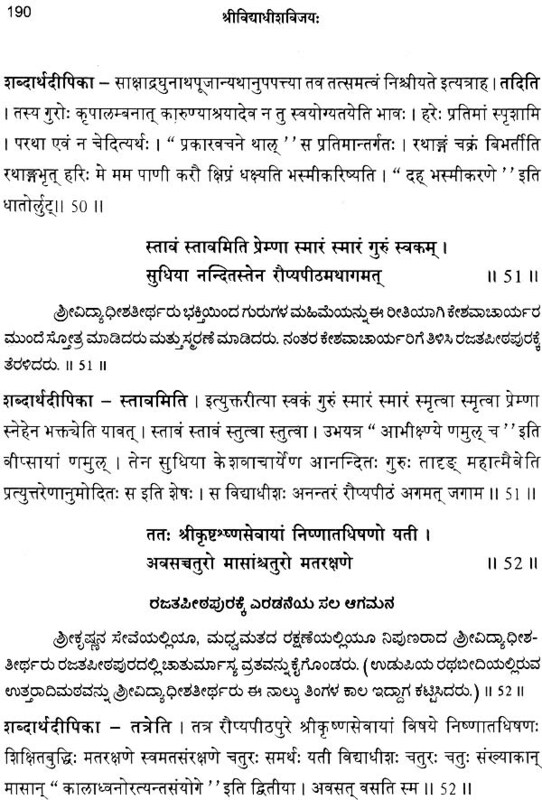 Sri Vidyadheeshavijaya is a biographical poem. It is in twelve cantos. 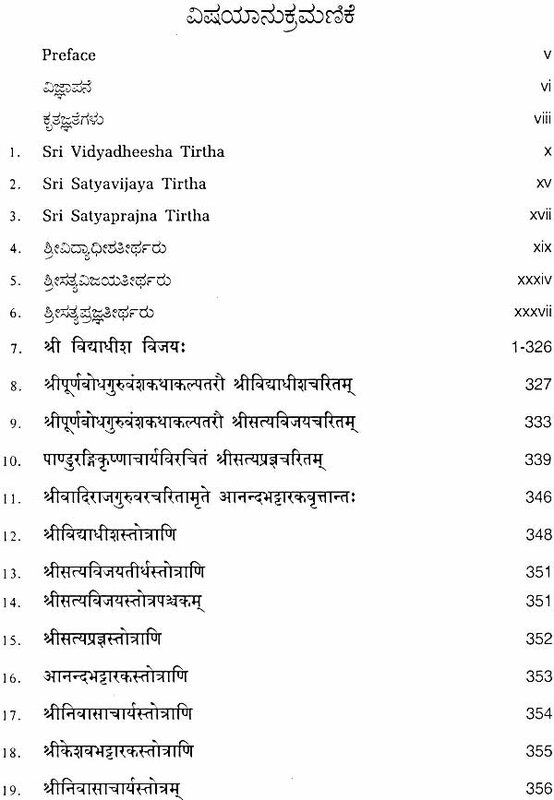 It describes the life and works of Sri Vidyadeesha Tirtha, who was the head of Uttaradi Math between 1619-1631. His father Anandabhattaraka Pandurangi was a resident of Punatamba on the bank of river Godavari which is in the present Ahamed Nagar district of Maharashtra. Sri Vidyadheesha Tirtha was born and brought up in this town. It was an Agrahara given to the scholars by the kings of Yadava dynasty of Devagiri. Sri Vidyadheesha Tirtha had to leave this place in Purvasrama only due to political disturbances. In the nearby town Sangameshwara, there was Naganatha Datta Pandit who was a Subedar under Shahaji, the father of Shivaji, was a patron of Pandurangi family at that time. Later both Shahaji and Naganatha Pandit shifted to Bangalore as the Subedars of Bijapur Rulers. This information is recorded in a Sanskrit poem called Radha Vinoda Kavya. 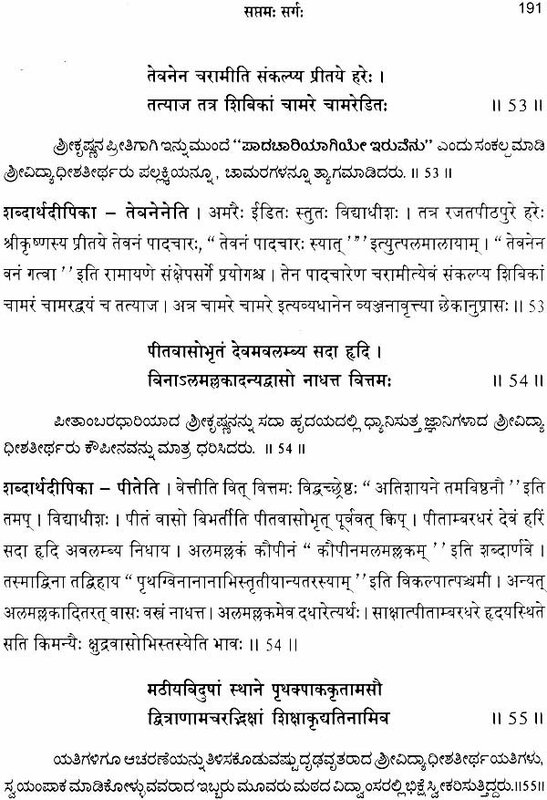 The name of Naganatha Pandit is mentioned in Vidyadheesha Vijaya also (sarga 4, sloka 36). After Sri Vidyadheesha Tirtha took the charge of Sri Uttaradi Math, he travelled all over India. Particularly he visited Gaya and converted the Gayavadas to Vaishnava Faith who were originally Shaktas. He also constructed Uttaradi Matha at Udupi. 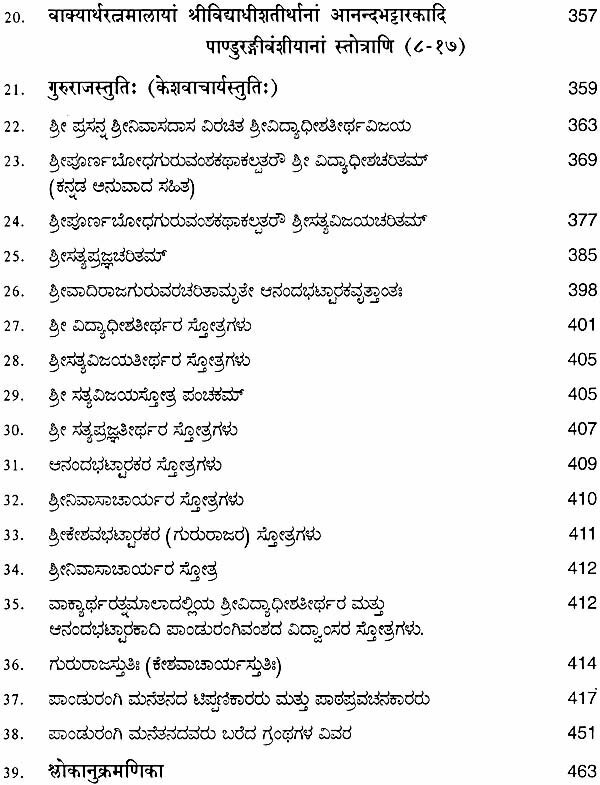 Full details of his life and works are given in Sri Vidyadeesha Vijaya. 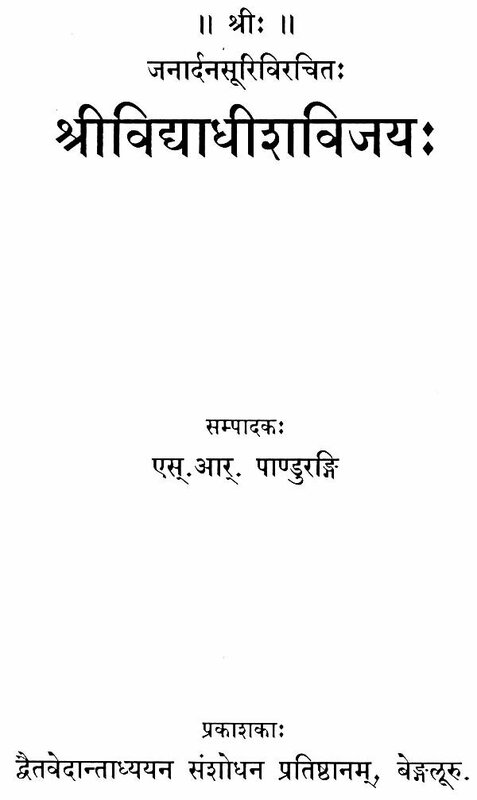 This work was published by Rangacharya Reddy as long back as 1926. Sri Reddy was versetile scholar. He hailed from Wayi, a small town on the bank of river Krishna in Maharashtra. 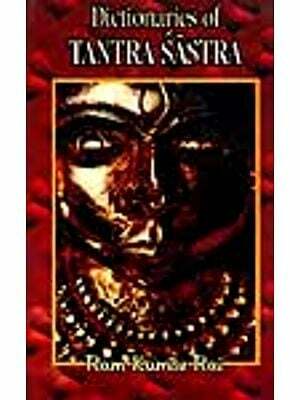 He has also translated ‘Tattva Prakashika’ of Sri Jayatirtha in Marathi. But for his effort, this work would not have survived. The Present edition contains the text, the commentary and kannada translation. 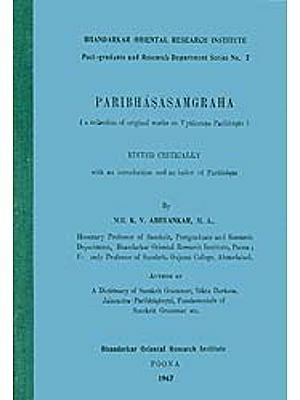 Satyabodha Raghavendracharya Pandurangi, was entrusted with the task of translating and editing of this work. He has translated and edited this valuable work. We record our appreciation of his work. We thank M/s Shabda Mudrana for neat printing and good get-up. We hope this work will be helpful to the students and the scholars to know the life and works of a great saint.